My first memory of New Found Glory took place when I was 10 years old. I remember sitting on the floor in my older brothers' room, just to listen to the album Sticks and Stones on my brother's boombox. I eventually ended up burning myself a copy of the album (which was likely my first burned CD), so I could listen to it in my own bedroom, anytime I wanted. I put it in a CD case, and then neatly labeled the back of it with the track listing. New Found Glory has released 5 studio albums since these days I remember fondly. I've remained a huge fan throughout the years, and Sticks and Stones is still a favorite - one of my go-to albums. 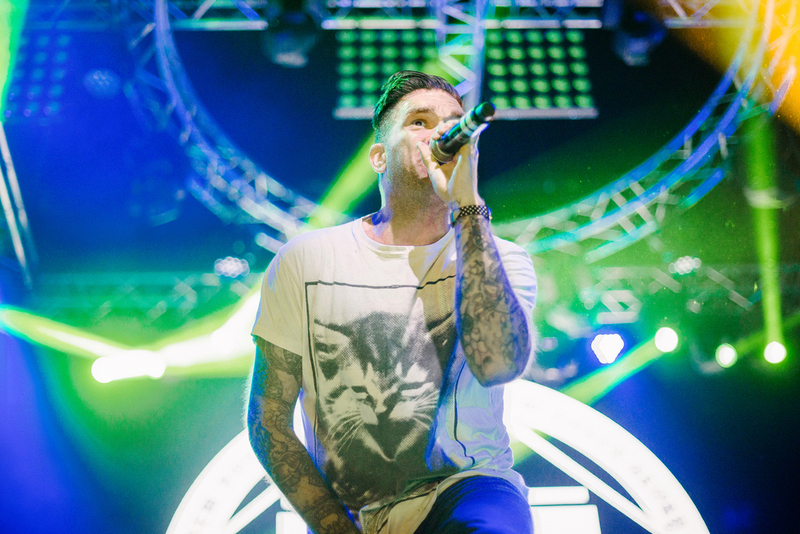 Saturday night was the third time I've gotten the chance to photograph New Found Glory. They played at Gas Monkey Live in Dallas with Yellowcard - another beloved band I grew up with. This was my first concert in Dallas, as I just moved to Texas from California, and it was a great experience. New Found Glory's live energy is truly incredible, making them an absolute joy (and challenge!) to photograph. Here are some of my favorite shots from their set - enjoy!